Do you believe in unicorns? This gorgeous t shirt is a perfect present for a trend setting girl. Each order is wrapped in luxury tissue paper. Your order can be sent direct to a friend and we are able to add on a gift message. 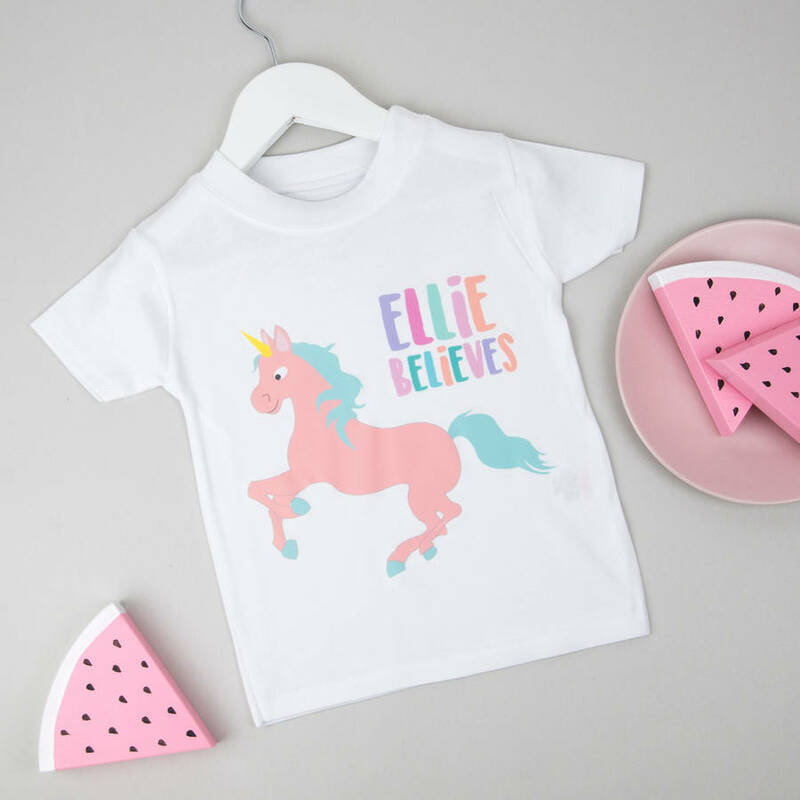 You are able to choose if you would like a long sleeved or a short sleeved t shirt, if you would like this item personalised with the child's name or left blank. Wash at 30 degrees, iron on reverse and do not tumble dry. T shirt available in sizes: 3-6 months - weight up to 68lbs, 6-12 months - chest size up to 51cm, 1-2 years - chest size up to 52cm, 2-3 years - chest size up to 53cm, 3-4 years - chest size up to 54cm, 4-5 years - chest size up to 59cm, 5-6 years - chest size up to 61cm and 6-7 years - chest size up to 63cm.